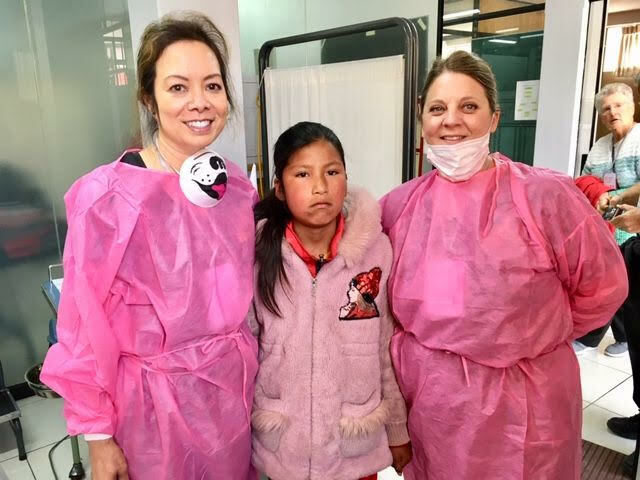 The October 2018 Mission Trip included a dentist, Dr. Marcelle Lawas. Her exams indicated that many of our children have significant dental problems. The picture shows 10-year-old Jimena who suffered an infection for perhaps two years. Dr. Lawas is on the left and her dental assistant, Amy Yu on the left. Also pictured below is Fr. Bloom’s February 2019 visit. On his right is Jimena (carrying flowers) and her sister, Paola on his left. In the front are Jimena’s brother and mom. Vincentian Daughter of Charity, Sister Maritza, director of the Puno orphanage for girls received an infant, sick with enterocolitis necrozante perinatal, a condition developed by infants who are fed cow's milk. The baby's mother died in childbirth. 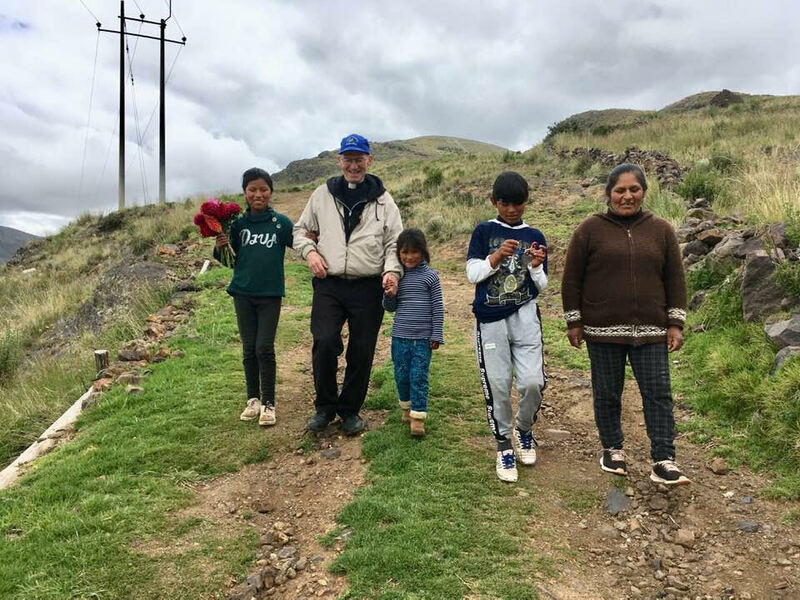 With aid from the Mary Bloom Center, the baby who the sisters called "Francisca" received treatment for severe malnutrition and now, at age 9, is a healthy, active and happy young girl. Here Francisca literally "hangs out" with MBC president Father Phillip Bloom. Francisco Condori, whose infectious smile never seems to wane, suffers from congenital vertebral paralysis, a form of spina bifida which has disabled his legs and reduced his kidney function, causing chronic urinary tract infection. In 1999 the Mary Bloom Center funded his care and treatment which cost a mere $200 in Lima, Peru at that time. Today he is a thriving young adult, still with his characteristic smile. Because of their extreme poverty, the parents of fourteen-year-old Diego Apazo Navarro could not obtain medical attention for the young teen's debilitating eye disorder. Environmental irritants from brick making aggravated Diego's Keratoconus Actinic Keratosi, a rare eye condition causing degeneration of the cornea and threatening his eyesight. The Mary Bloom Center coordinated and provided funds for his diagnosis and treatment. In December of 2009, Diego underwent eye surgery and is now on the road to recovery.